In The Geography of Genius, Eric Weiner shares what he learned during his search for the world’s most creative places, from ancient Athens to Silicon Valley. Other stops along the way: Vienna of 1900, Renaissance Florence, nineteenth-century Calcutta, Hangzhou during the Song Dynasty, and Edinburgh. “Silicon Valley, I realize, is a lot like my iPhone. It does wondrous things. I can’t live without it. But I have no idea how it works or what’s inside.” Hence this last temporary residence during his sojourn. Roger McNamee is known in some quarters as “The Man Who Can See Around Corners.” What exactly does he do? “I study history. I do real-time anthropology. Then I form hypotheses about what must come next in relative probability…I’m open to the notion that the future is different from the past but not wedded to it.” He is among the most highly respected sources for knowledge, wisdom, and feedback. Hopefully, these brief excerpts from one chapter will motivate you to read the entire chapter and all of the other chapters. Each as well as the Epilogue is worth far more than the total cost of the book in terms of both entertainment and enlightenment. Eric Weiner is author of New York Times bestseller, The Geography of Bliss, which has been translated into eighteen languages, as well as the critically acclaimed Man Seeks God. His latest book, The Geography of Genius, was published by Simon & Schuster (January 2016). A former foreign correspondent for NPR, he has reported from more than three dozen countries. 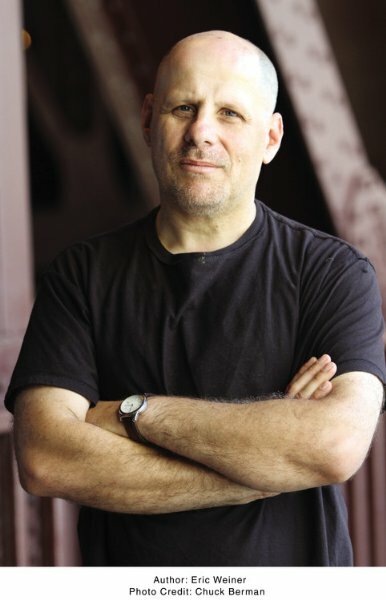 His work has appeared in the New Republic, Slate, Los Angeles Times, Washington Post, Foreign Policy, The New York Times Magazine, and the anthology Best American Travel Writing. For more information about him and his work please click here. To check out my review of The Geography of Genius, please click here.